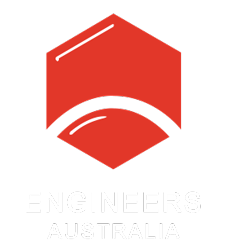 A team of Australian engineers blended hardware and software to create a device they say works like a “Swiss Army knife” for measuring. Renovations can be stressful at the best of times. But when software engineer Yuma Decaux wanted to make updates to his home, taking accurate measurements proved tough because he had to contend with an added element: he is blind. Decaux partnered with longtime friend and electrical engineer Jake Dean to create a universal, smart and accessible measuring device. Named the Macaron, it syncs with an app to allow people with visual impairments to take accurate measurements of straight or curved surfaces. 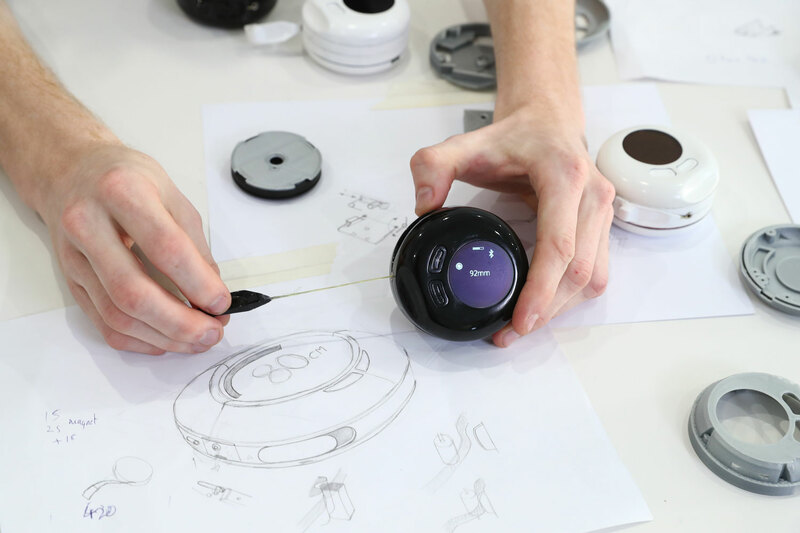 Their innovation has netted the pair the Australian Dyson Award and put them in the running to win the international design and engineering prize. The Macaron is designed to be a universally accessible measuring device. While there are other distance-measuring sensors that don’t rely on sight alone, such as lasers or time-of-flight sensors, these are purely linear. Decaux’s original problem of conducting home renovations required a tool that could measure more than just straight lines. They decided to modernise the classic tape measurer “because it takes not only direct lines but also contours and curved shapes”, Decaux said. The first iteration of the Macaron was 20 cm long by 10 cm high with an encoder wheel. “We ended up trying a really scrappy prototype by dismantling a simple tape measurer to see how it works and see if we could add chips on it – that’s where it kind of started,” Dean said. However, they quickly went back to the drawing board after learning the embedded sensors didn’t jibe with this design. They created a version that was much smaller and contained a magnetic field sensor and a distance sensor. Accuracy proved to be the biggest engineering challenge for this upgrade. “Getting accuracies to within a millimetre is quite a difficult task, especially with a ribbon or a flexible cord,” Dean said. Making the process of measuring and recording as seamless as possible helped achieve another important goal of the project: making sure the technology was fully accessible to blind people. 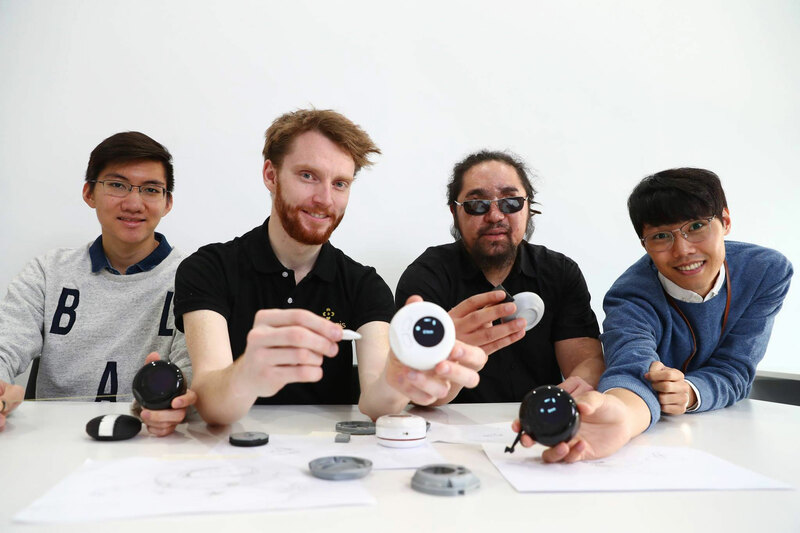 The Macaron comes with several ‘non-visual’ features that communicate feedback to users with visual impairments. For example, the device produces a ticking sound that indicates how much cord has been pulled out, which accelerates or decelerates depending on how far the ribbon is pulled. The device also uses haptic feedback in the form of a vibration to ‘confirm’ when a measurement has been made. An accompanying app allows users to keep records of all their measurements, create pre-set options, and organise and analyse the data based on preferences. If a user is taking regular measurements of certain things – such as body measurements – templates can be uploaded as well. “That’s the direction we were taking – trying to get this utility, pocket knife kind of feel. Like a Swiss Army knife, but for measuring,” Dean said. The Macaron development team with Jake Dean (centre left) and Yuma Decaux (centre right). The team had to find the happy medium between design aesthetics, like its look and feel, and function, like speed and accuracy. “Engineers will want to talk more about what’s inside and how it works, the chips used, the communication speed, all that jazz. But if the end consumer can’t see the link between the specs and what it means for them, they might push away from it,” Dean said. During the development stages, Dean and Decaux said they received a lot of help and encouragement through the ilab accelerator program at the University of Queensland. “Because we’re both engineers, we both just want to play with it indefinitely. But they really pushed us to get it out there and see what people liked and didn’t like about it,” Dean said. Once a usable prototype was developed, the team set about putting it in the hands of users to test and give feedback – something they found particularly helpful. “It’s very easy [for users] to pinpoint some of the flaws we might have in the design, whether within the software process or certain components of the device hardware,” Decaux said. People with visual impairments were asked to test the device to gauge whether the technology was accessible to them. The team also gave prototypes to professionals in fields as diverse as health and wellness, fashion and retail, manufacturing, woodworking, education, animal husbandry and more. “The idea behind the product is it’s universal, so it’s a product or an object that everyone can use – it’s more a product that’s just accessible by default,” Decaux said. Advisors from their time spent at the startup accelerator have also provided insight on the journey from crowdsourcing campaign to business startup. Dean and Decaux are commercialising the Macaron tape measurer under the company name Oseyeris. 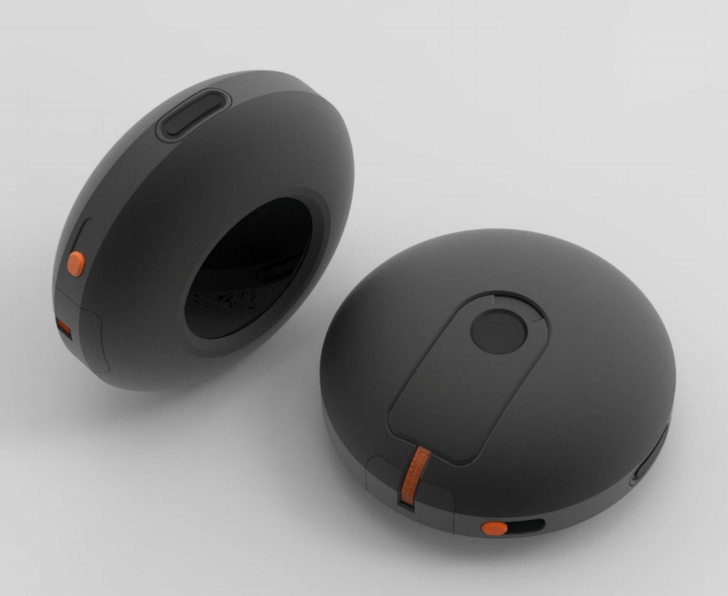 The Macaron provides haptic feedback for people with visual impairments, and syncs with an app to store measurements. “We’ve covered it through theory and discussions, and we’ve got people ready to help us when we want to actually build it up,” Decaux said. Next steps for the project include improving the user experience of the product so it’s “as seamless and beautiful as possible,” said Dean, and they also plan to launch a crowdfunding campaign towards the end of the year. Decaux said they will continue to share the product with users in various industries to see how it holds up against real-world wear and tear and “make sure it fits perfectly with all of those use cases”. “We don’t want to over-market – we want to really hit the bullseye when it comes to pure functionality, precision, accuracy, usability, and not go too fluffy with a massive marketing campaign and then not deliver,” he said.